If you haven’t heard of them by name then you will certainly have seen a film that their kit has been used on. 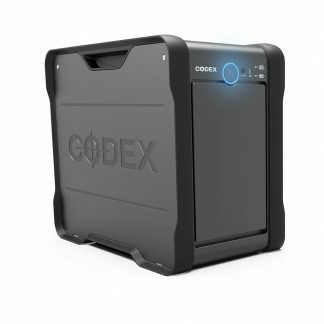 Codex are an award winning company that create custom products for the media and entertainment industry. Products include software applications and desktop storage solutions. Codex equipment has been used on so many of the worlds best known films and high end television its incredible. As a result they are able to develop some of the finest workflow solutions the industry has to offer. With offices in London and Los Angeles, Codex are at the heart of the creative community. They are now widening their portfolio to introduce products for a wider range of filmmakers but keeping that well known quality.